Oats Sweet Paniyaram is a delicious and healthy snack dish. The combination of oats, banana, wheat flour and jaggery in this recipe, helps to increases the nutritive value of the dish (fibre, protein and iron) as well as taste. I learnt this recipe from my friend Champa Mallya. 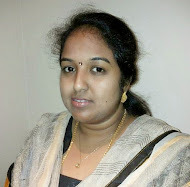 Special thanks to her as my son Kavin, who is a fussy eater; like this very much. Sometimes he wants this healthy paniyaram for his school snack box as well. 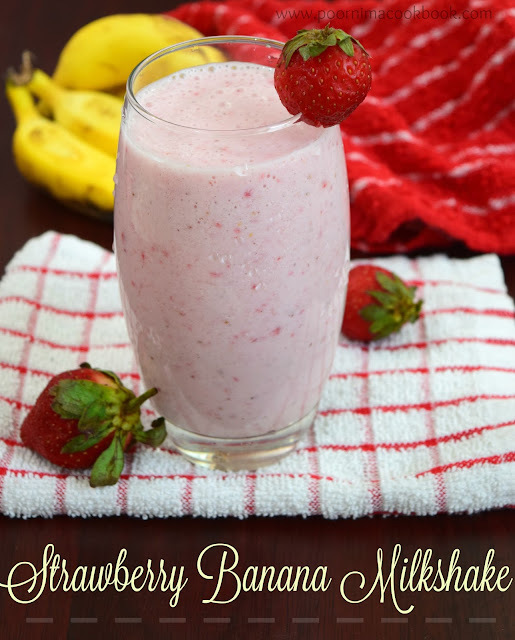 Try this; make your kids eat healthy snack without any fuss! In a pan, mix jaggery and water. Boil till the jaggery melts and filter to remove impurities if any. Keep aside and allow to cool. In a separate bowl, add oats, wheat flour, rice flour, salt, cardamom powder and coconut. Mix well. After that add mashed bananas and curd. Give it a mix. Pour filtered jaggery syrup over the flour and banana mixture to prepare a batter (the batter should be in semi thick consistency like dosa batter). At last add cooking soda and mix well. Add water if necessary. 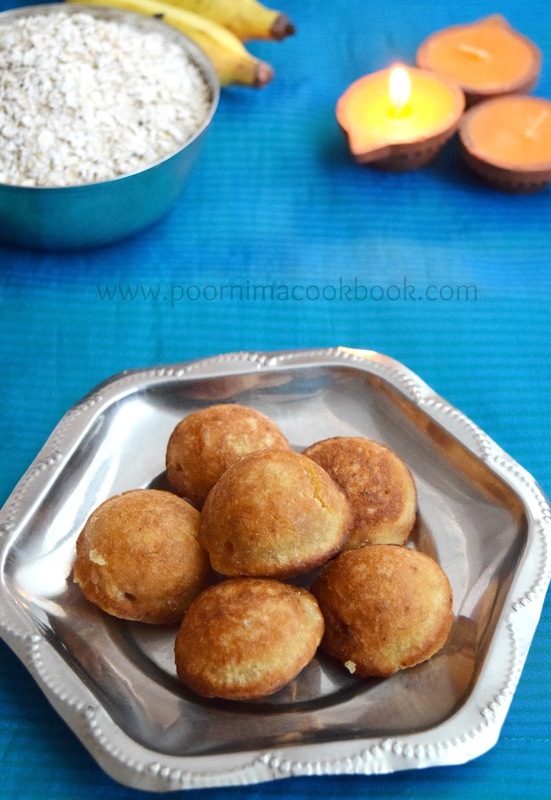 Heat the kuzhipaniyaram pan; add 1 to 2 tsp oil or ghee into each hole. Pour the batter in each hole and allow to cook in the medium flame. Turn on the other side using a tooth pick or a stick. 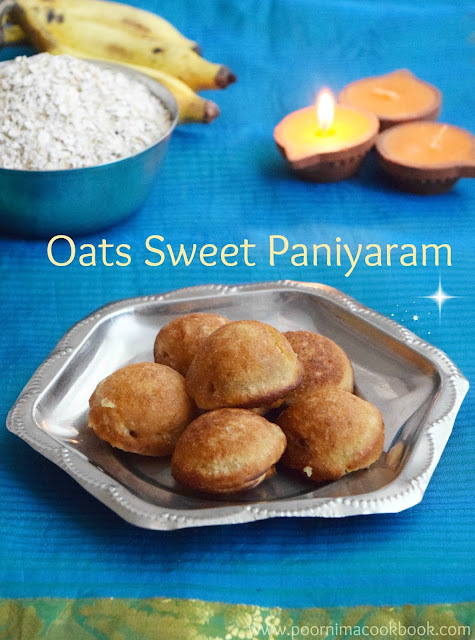 Healthy & Yummy Oats Paniyaram recipe is ready to serve! Adjust the jaggery amount according to your taste. If you don’t have kuzhipaniyaram pan just deep fry . Heat oil in a pan, drop spoonfuls of batter in the oil and fry till it gets golden brown and crisp (cook this in medium flame). Remove from oil and place on a tissue to drain out the excess oil. Serve hot. 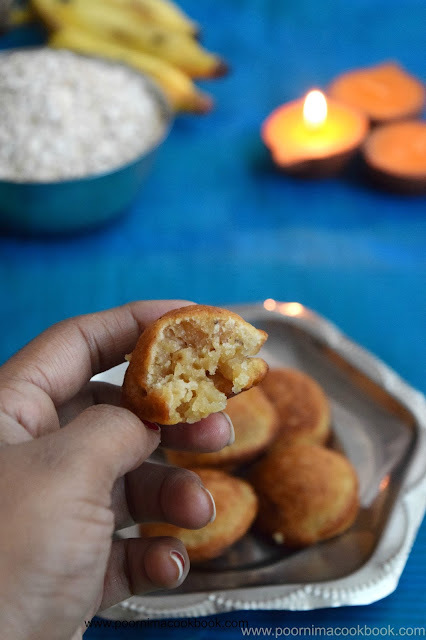 Healthy sweet panniyaram.. no wonder why kavin loves it so much, let me also try it for sid.